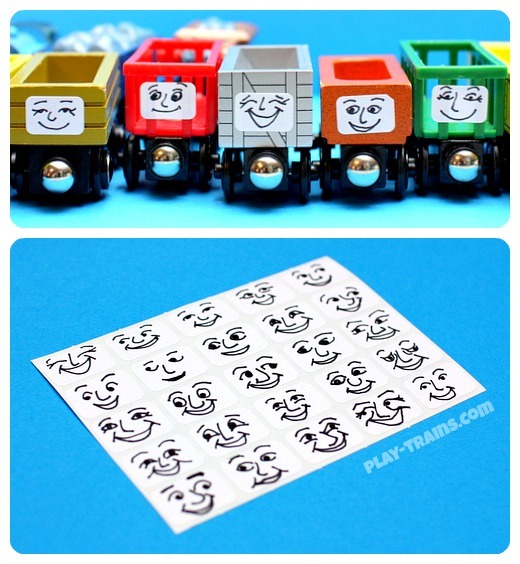 So easy to make, these DIY face stickers for Troublesome Trucks are a great way to add some personality to a child’s wooden trains. An earlier version of this post was originally published on November 24th, 2012. It contains links to Amazon.com. If you click on one, we will receive a small commission — at no additional cost to you — on anything you buy at Amazon for a certain length of time afterwards. I was otherwise uncompensated for this post. Read our disclosure policy for more details. 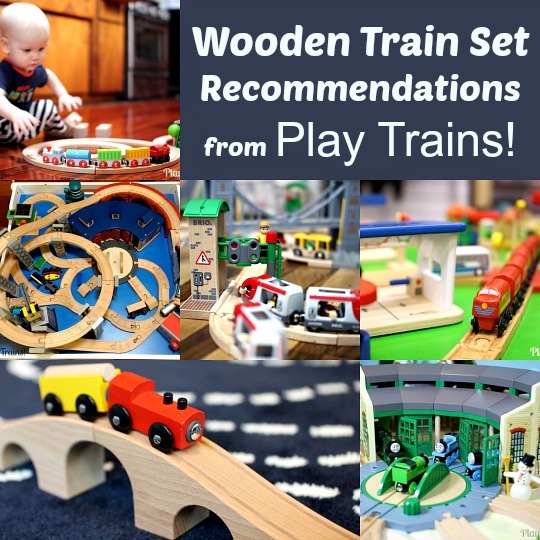 I think it’s pretty obvious that the Little Engineer and I are huge Thomas fans, but there are many things I don’t understand about the Thomas Wooden Railway trains and sets. 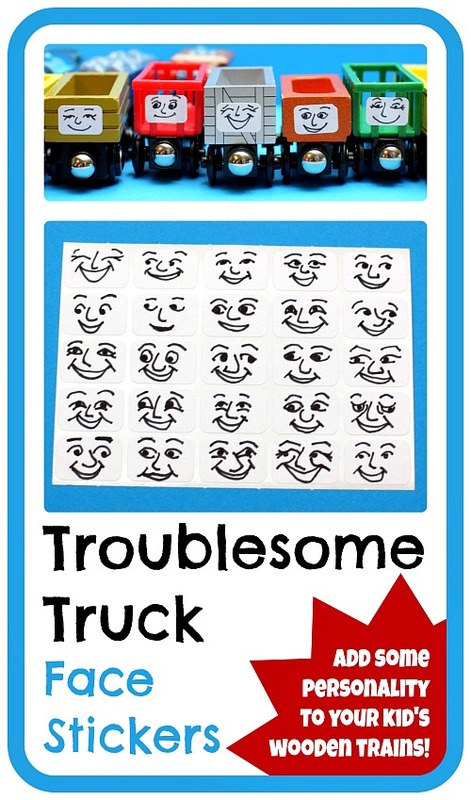 Take, for instance, the Troublesome Trucks. (Or “Troubling Trucks” as the Little Engineer used to call them.) 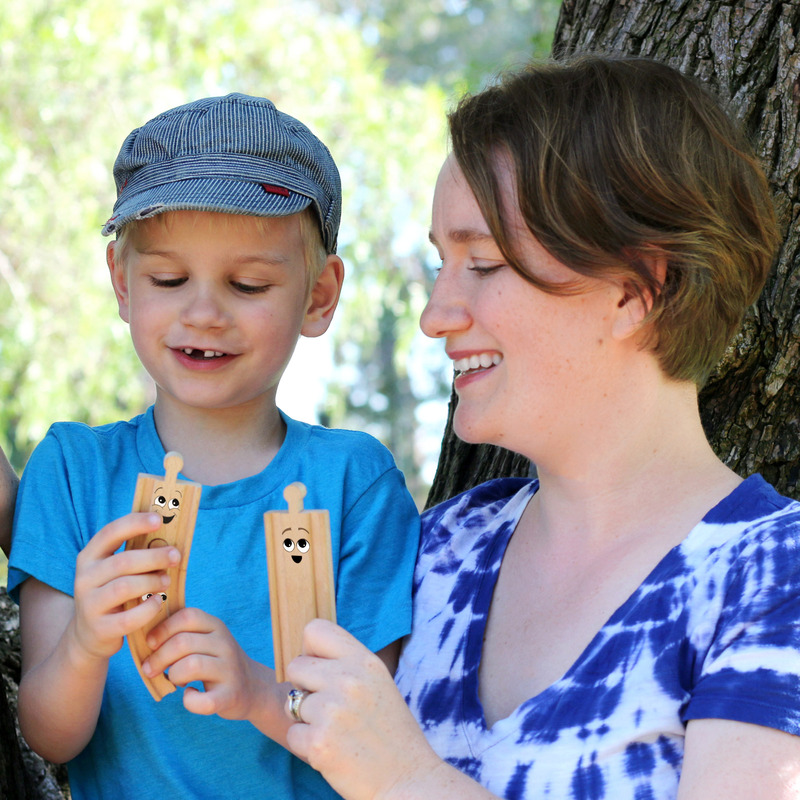 They make wooden ones, but other than specialty ones such as the cute Troublesome Trucks and Sweets pack, they’re offered only as the Giggling Troublesome Trucks, which have two problems. One, for a long time, my son was wary of the sort of scary giggling sound they make when you press down on their cargo. Two — and most importantly — you can’t put anything in them. 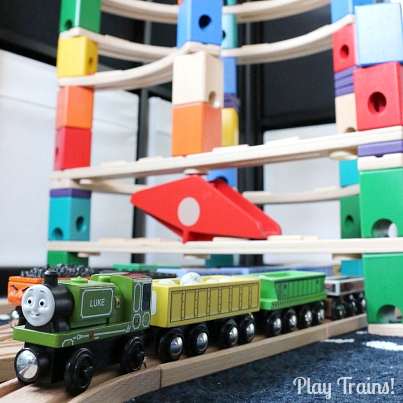 Which is really unfortunate, because that’s one of the fun aspects of playing with the trains: loading and unloading freight, finding other little toys and items that fit, being able to act out more than just one story. The addition of a face to an otherwise plain piece of rolling stock adds a huge amount of personality to the trains. A handful of the Trackmaster engines come with Troublesome Trucks, and in the time since I originally wrote about this project, they’ve released a great three-pack of Trackmaster Troublesome Trucks with removable cargo. One of the trucks in the talking Take-n-Play Troublesome Trucks two-pack is empty. So why not a wooden two- or three-pack of various different Troublesome Trucks from the show, either empty or with removable freight? I would happily buy that. Or at least they could put faces on the trucks that come in the sets, though to be honest most of our Thomas-branded rolling stock are flat cars, with no room for a face. This bothered me for quite a while. Then I vaguely considered making some stickers to add the faces myself. I was thinking of having them custom printed, so it sounded like too much effort to go through. Then last week, the Little Engineer asked me to put faces on his trucks (I’m almost certain I never mentioned my nebulous plan to him), and somehow that triggered me into finding a much more immediate solution: removable labels. After cutting up some larger labels we already had at home as a temporary solution, I found a pack of small Avery Removable Rectangular Labels at the drugstore. These are just about perfect. My only complaint, other than that they’re not light gray (too much to ask for), is that I wish they were a little taller, a little closer to square, because that would make drawing the faces slightly easier. I found myself almost running out of room on either the eyebrows or the mouth, depending on which I drew last. But as you can see, they fit a variety of trucks we have from different sets and different brands very nicely. Now, you’ll note that almost all of our trucks look pretty happy and harmless, based on the Little Engineer’s tastes. Obviously, you could make them look a little more authentically manic or devious. If you’re looking for more trucks to add to your collection, I recommend the ones Imaginarium makes, available at Toys’R’Us. 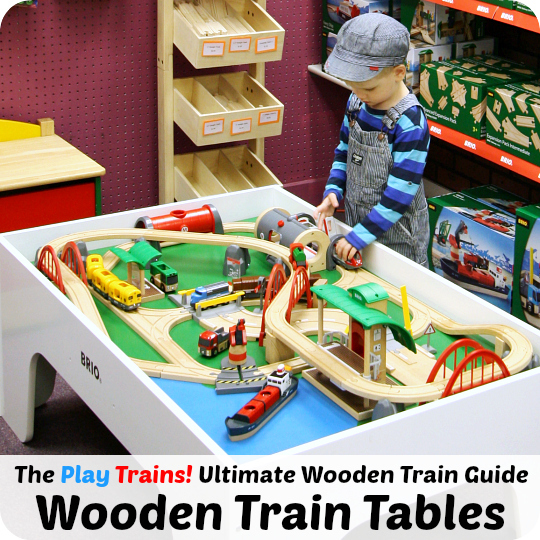 In the photo above, the yellow truck in the middle and the darker one to its left are from an Imaginarium train table set, and we got a plain wood and a blue one recently. Granted, you’ll have to buy a set to get them, but I really like the look and feel of them. If you want to buy individual freight cars, Target usually has some loose Circo-brand engines and cars for about three dollars each in their Thomas section, and there are generally a few coal cars with removable freight. I drew the faces with a fine-point, black Sharpie. I pushed myself to ignore perfectionism and do a fairly sloppy job, because that made them look more like the trucks in the books and videos. Try different eyebrow shapes, different ways of drawing the eyes, different sizes of mouths and degrees of emotion. 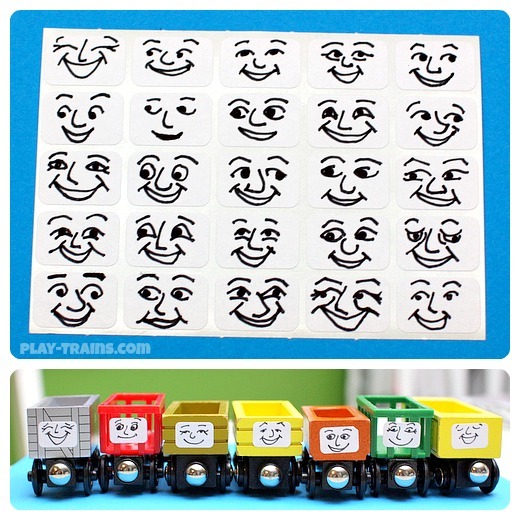 Laugh lines and other facial lines also are pretty typical for Troublesome Trucks and add more personality. I like the effect of having some eyes and noses pointing left, some pointing right, some trucks looking straight ahead. It looks especially cool when they’re side by side at the docks or in the yard. 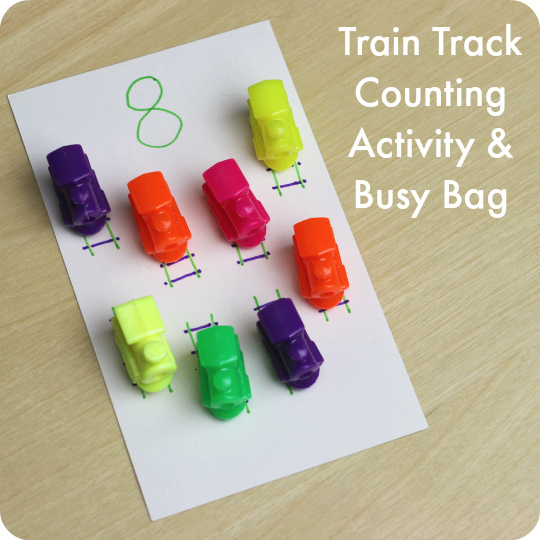 The Little Engineer really enjoyed picking out the perfect face for each truck, and he’s had a lot of fun playing with the lively bunch. Many of the stickers are still in place months later. 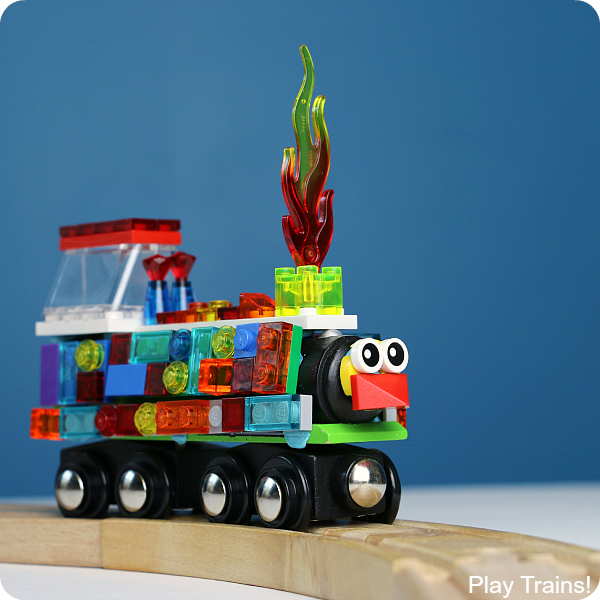 All in all, a very easy, cheap and reversible way to make these toys new again for him. 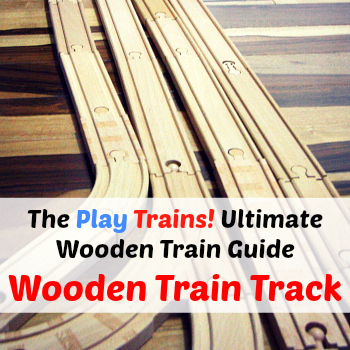 And for slightly older kids, I can see this being a fun activity for them to do themselves. The Little Engineer drew a face or two himself after I originally wrote this post, and I think at three-and-a-half this would be a good activity to revisit with the pen in his hand instead of or as well as mine. 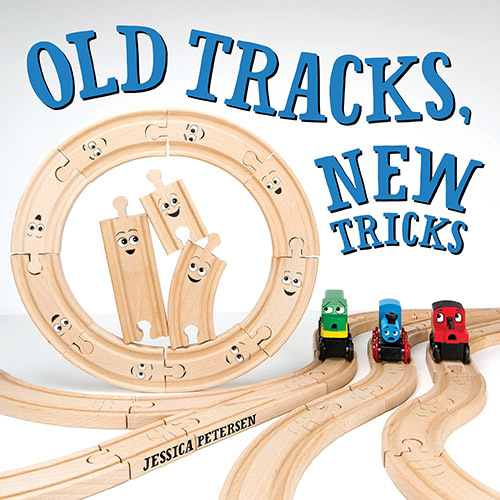 If your child is a fan of the Troublesome Trucks, Trains, Cranes, and Troublesome Trucks is a fun book that shows three engines — Thomas, James, and Gordon — being driven on into accidents by the crazy freight cars and then helped out by various cranes, demonstrating the concept of small, medium, and large sizes along the way. The Little Engineer especially loves seeing the engines get a wash down at the end. And of course, the original Railway Series stories by R.W. Awdry feature the trucks quite a lot. The Little Engineer was finally ready to read all of the stories this spring, so we bought a copy of Thomas the Tank Engine Story Collection. One of his favorite stories is “Pop Goes the Diesel”, which finishes with the lyrics to the song in the video below. However, had I to do it over again, I would have gotten the older version, Thomas the Tank Engine: The Complete Collection. Note how the word “complete” was dropped from the title in the newer version? Also, the new version has been overly Americanized. I’m tired of translating “freight car” back to “truck”, so I’ll be picking up a used copy of the complete collection at some point. But if you don’t mind missing out on some stories, and the Americanization doesn’t bother you, the new version is otherwise a nice addition to our library. Finally, here’s a video some fans made to the “Troublesome Trucks” song. The Little Engineer loves this one, and has a whole dance routine choreographed to the intro music based on what happens in the video. Then, during the actual song, I get to be a truck, pretending to put on my brakes (“Hold back, hold back!”) or push him forward (“On, on, on!) while he pulls me around the house and shunts me around the “yard”. It’s hilarious, and a lot of fun. And the video is cute! Watch it with your Thomas fan and enjoy. Fantastic! I was so excited when I found those stickers, but paper and tape would get the job done, too. 🙂 Thanks for stopping by.